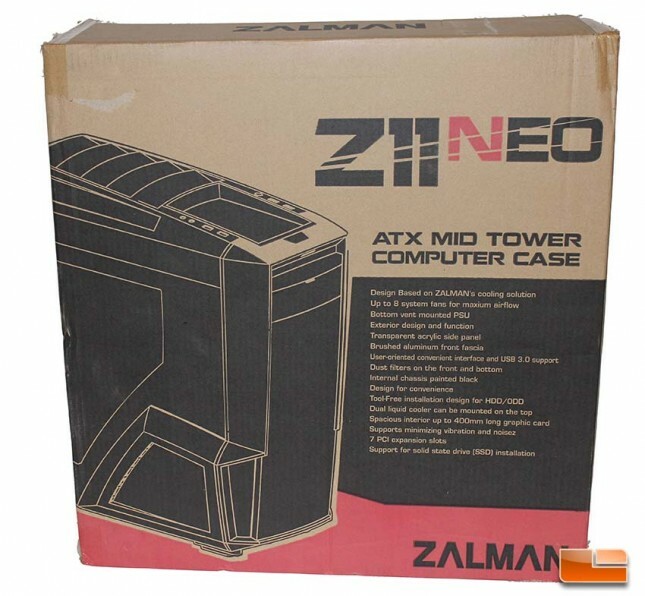 The Zalman Z11 Neo ships in a brown cardboard box with listed dimensions of 569 x 303 x 586(H) mm that arrived to us in pretty good shape. The box has an illustration of the case, the model name and a line of features on the side. Of note, Zalman is listing SSD support as one of the features of this case and we’ll examine exactly what this means later in the review. 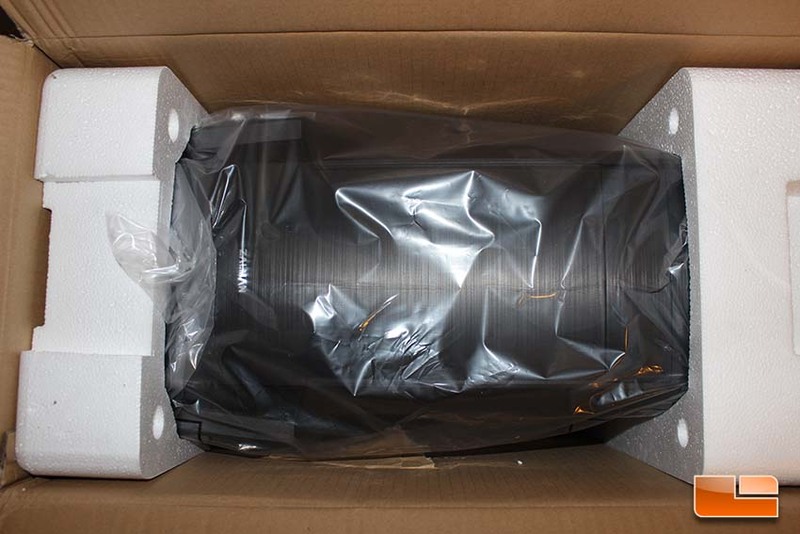 Inside of the box, Zalman packages the case between two foam inserts and wraps it with a plastic bag. The case arrived to us with no damage or scratches and the packaging is adequate and typical of most cases of this type. The side panel window is covered by a protective film that was very easily removed and it didn’t leave behind any residue. I noted immediately that the Z11 Neo is lighter than it looks. It is really easy to pick up and carry, but has a very sturdy feel to it. I really dig the way this case looks. The faux-aluminum front panel really looks sleek and is a vast improvement over the previous Z11 cases. There is a definite high build quality that is carried throughout the case. None of the panels are flimsy, the plastic all aligns properly and the front and top panels are removable without issue. 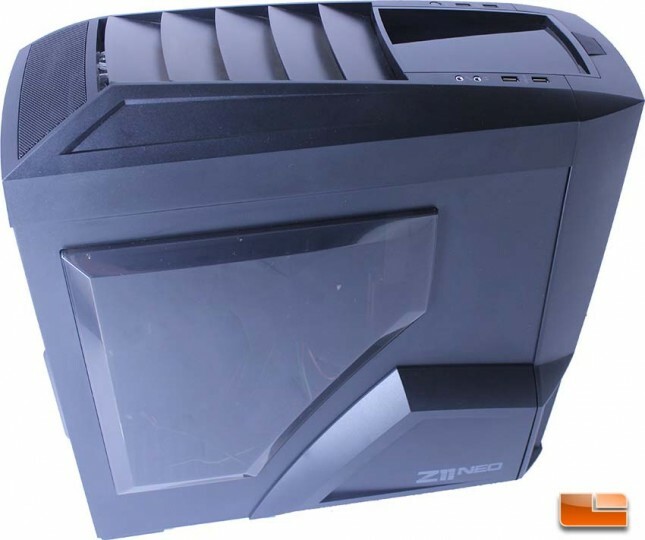 Externally, this case really shines and would be right at home on any gamer’s desk. Users with laid back tastes, or who prefer simplicity, will not like this case or it’s radical lines and use of lots of plastic. Zalman includes all of the screws and stand offs necessary to complete your build in a zippered plastic bag. 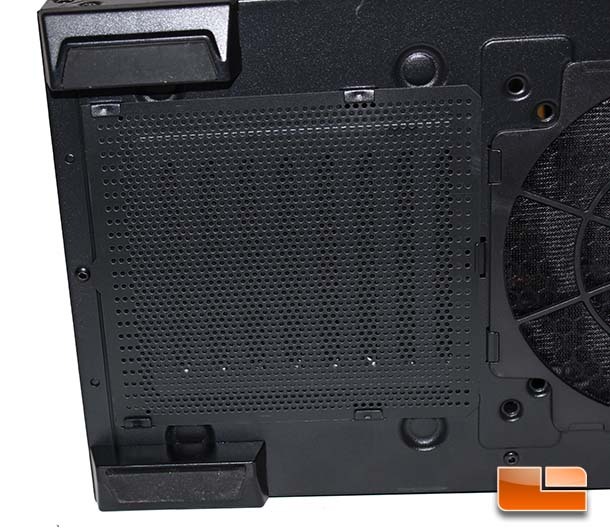 Also included are extras to assist with your build like an 8-Pin CPU Power extension cable and a PCI slot cover. The user manual covers the basics, such as the contents of the case and some installation guides. It’s a basic manual that gets the job done and the documentation is better than that of some manufacturers who include no manual at all. 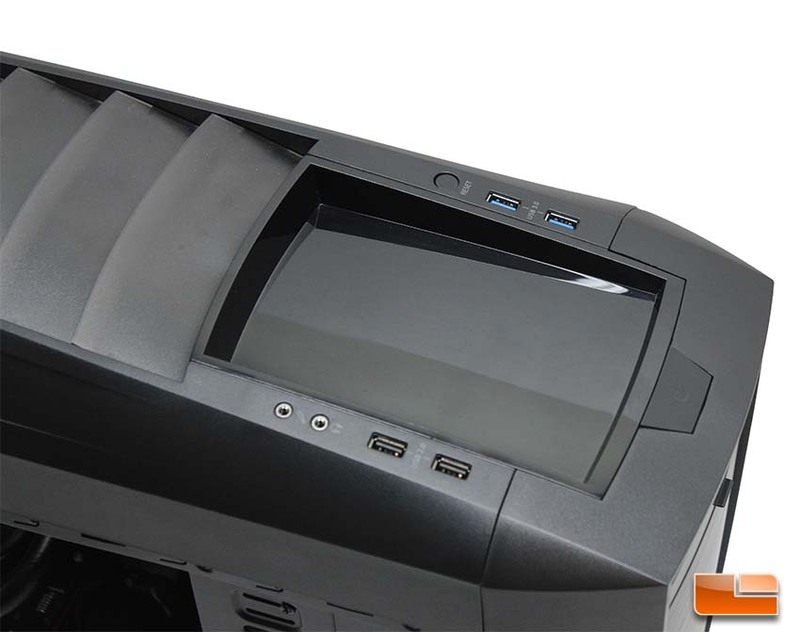 The top panel offers two USB 2.0 ports, two USB 3.0 ports, an illuminated blue power button, a reset button and microphone and headphone jacks. The power button has a very short amount of resistance and almost immediately clicks when pressing it. The reset button has a nice amount of resistance and requires a strong press, so accidentally hitting it while blindly changing USB devices isn’t an issue. The reflective storage tray between the USB ports is a welcome addition, though it picks up fingerprints and smudges very quickly. The top fins give the Z11 Neo a very aggressive, stylish look, while actually being functional. These fins are wide open, solidly built and really add a lot to the looks of the case compared to the typical cut out or mesh style openings we are used to. Unfortunately, dust very easily falls into these openings and you can’t really add a filter, since the unique design just really won’t allow for one to be cleanly installed. 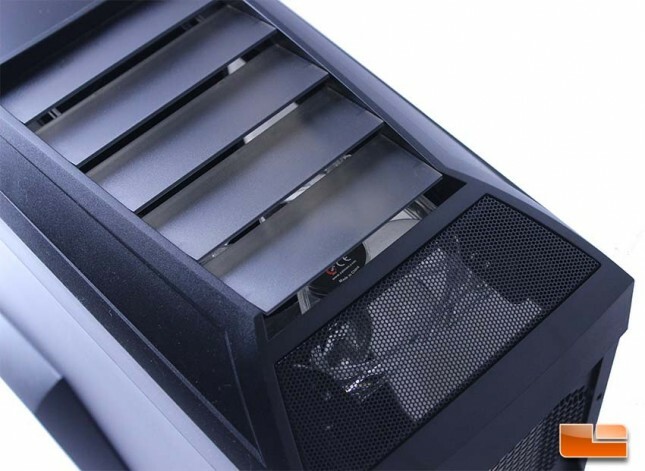 Most users are using the top fans as exhaust, so this is not a huge concern. None of the metal flexes and the side panels are very solid and well built. Compared to the thin panels I’ve become used to with some cases, even those coming in at higher price tags, the quality here was refreshing. 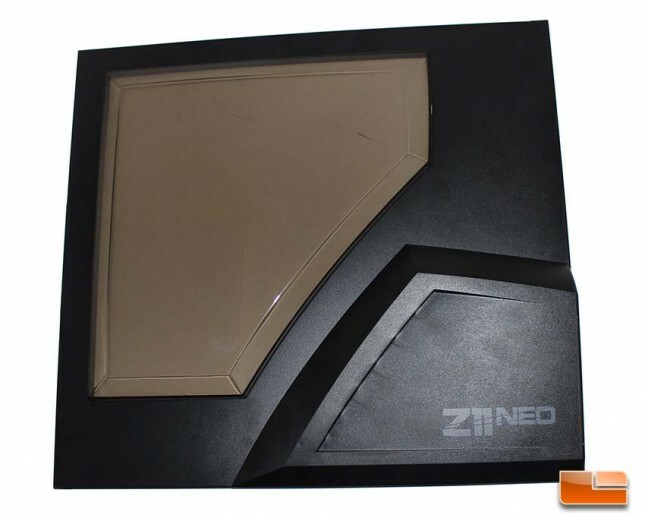 The side panel of the Z11 Neo stands out right away. It’s got an angled window and the panel protrudes out a bit from the case in order to accommodate the 80MM fan installed in the panel. The window has a darkened-clear look that makes it somewhat hard to see the hardware through it and unfortunately, it seems to scratch rather easily. Even with the window of the case protruding a bit, some taller CPU coolers will have trouble fitting in the Z11 Neo and the case is limited to use with HSF’s up to 160MM in height. 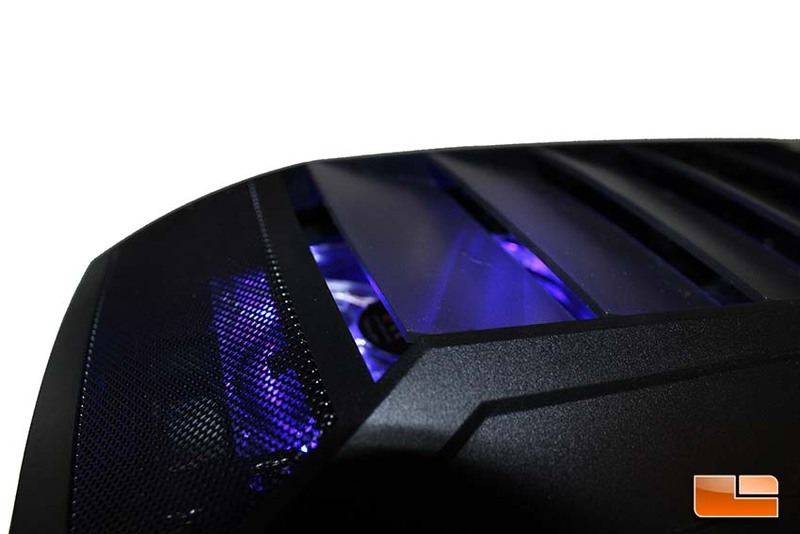 The area above the top mount fans has a unique plastic fin design from Zalman that adds to the aggressive styling of the case. At the rear there is a mesh grill to allow for additional airflow. The feet on the Z11 Neo have rubber anti-vibration pads on them. These are a must-have for any case. 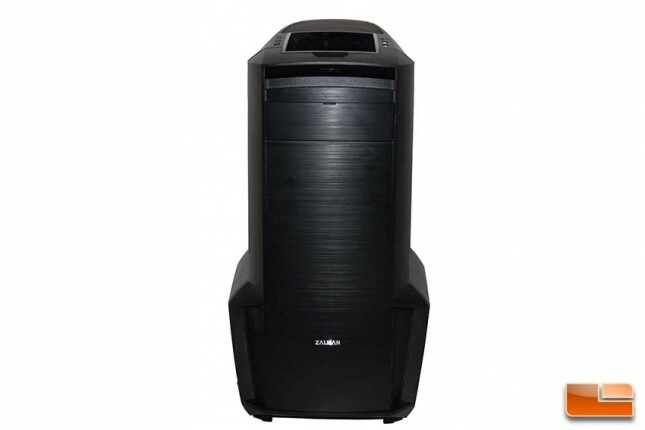 Not having them will often cause the case to transfer noise and make scratching sounds on certain surfaces. These particular pads are thick and definitely help with grip and noise dampening. 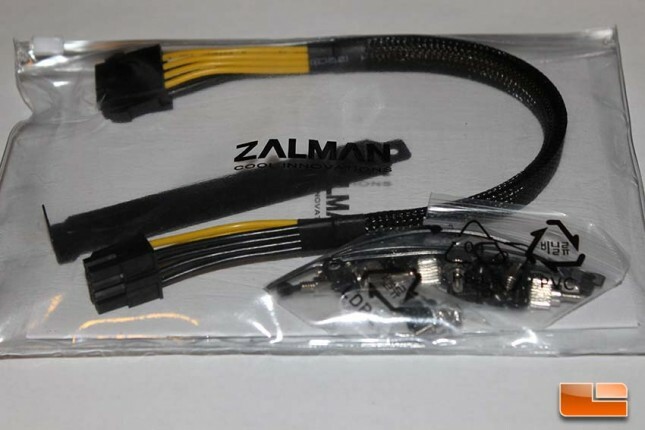 Zalman has also included a mesh-style PSU filter that can be removed very easily for cleaning, as well. This filter is more open and should allow better airflow than more closed filter types, but will let more dust in, subsequently. The side grills look really clean, without being too over the top. Unfortunately, the fascia being redesigned to a flat look means there is restricted airflow, as the only places to draw air from are the side grills. The Z11 Neo is definitely styled aggressively and has some very exaggerated lines. The front grill looks aggressive and the faux brushed aluminum plastic styling is a visual improvement over the Z11’s large open plastic grill.